The College of Dentistry’s General Practice Residency (GPR) clinic is getting ready to expand its space to meet the growing need for clinical dentistry practice. Currently located in the Royal University Hospital, GPR expansion plans include new clinical space in the Health Sciences Building and much needed equipment upgrades to ensure the best training for students and the best care for patients, said Dr. Mohan Teekasingh, the clinic's program director. 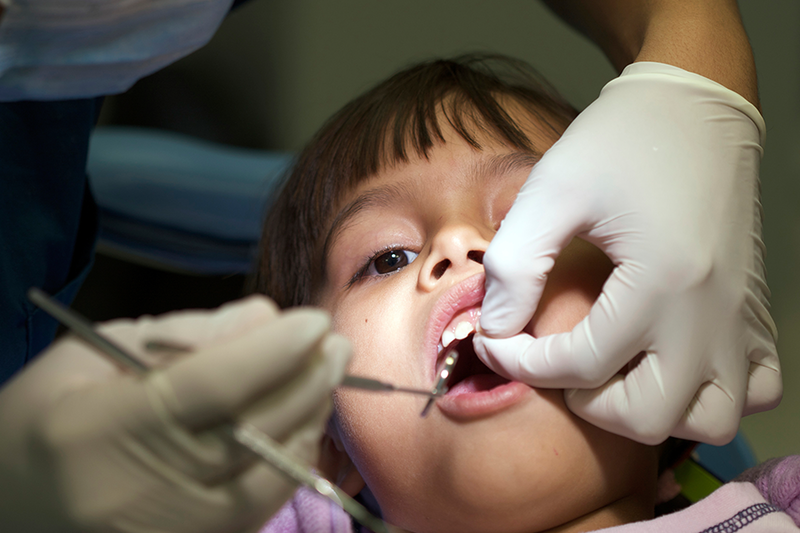 Educating students and providing dental care for patients are the clinic's main priorities. On the student side, Teekasingh explained, the clinic offers a one-year program for post-graduate dental students to experience a multi-disciplinary clinical approach to dentistry, which incorporates elements of medicine, including anatomy and pharmacology. "We want to use this new clinical space so the residents can develop skills in managing a staff and running multiple chairs," said Teekasingh. "It's going to put them in alignment with other dentistry programs across Canada." To that end, the expansion of the clinic's space will include an increase in the number of chairs and rooms as well as equipment updates, all meaning the clinic will be able to accommodate more patients. Teekasingh said the clinic has been valuable in terms of providing professional networking opportunities. Residents who have graduated and started their own practice, or have specialized in a specific area of dentistry, know the unique treatments the clinic offers and use it as a resource for their own practice. On the patient side, GPR is the only 24/7, on-call dental clinic in the province at which emergency procedures can be performed and supplementary support for attending dentists can be provided. Operating with two residents, GPR can treat up to 12 patients a day, both children and adults, who are referred by their physician or dentist. Hospital in-patient referrals, who are seen within 24 hours, are a key driver behind the clinic's expansion, Teekasingh explained. "For example, if your kid needs a liver or a heart trans- plant, it's not going to be done until someone says ‘yeah, the teeth are fine. Go right ahead.'" In addition to providing routine procedures such as cleanings or check-ups, the clinic also provides care for unique circumstances. Teekasingh said that includes care for a person who suffers from severe anxiety and requires anesthesia before a procedure, or special care to a patient about to receive chemotherapy. "We get letters and feedback all the time. Families value the service and I think dentists do, too. When other practices don't know where to turn, they will phone us and ask if we can help out." Indeed, the teaching and health care services offered through the GPR have undeniable value. However, the current space is no longer sufficient to house a clinic of these capabilities, Teekasingh said. With a college campaign already underway—$225,000 of the $475,000 target has already been raised—Teekasingh can hardly wait for the new additions and improvements to the clinic. "It will boost morale. Having the chance to work in a new facility, with new tools, new equipment—psychologically, there's something to be said for coming in and wanting to go to work. The residents will feel they are providing people with the best possible environment, equipment and care." Sean Conroy is a communications co-ordinator with alumni and development communications.